Image credit: Barnes and Noble. Elliott Turner has authored an important language resource that will make a great addition to your world football library. Comprelo/buy it and start speaking the language of Cervantes with a few added footballing twists. Language influences our prism of the world in compelling ways. This book concisely provides a linguistic examination using the metaphor of world football with two global languages: English and Spanish, respectively. Elliott Turner uses both languages with ease and fluidity making this book unique in its presentation, delivery and educational impact. "When you change the language, you change concepts. And when you combine languages, you get new concepts. That's one key to forming a really deep and distinctive American soccer culture." --- Elliott Turner, "An Illustrated Guide to Soccer & Spanish," page 7, published by Round Ball Media LLC with a list price of US $3.99 at Barnes & Noble. There is a forward by Brian Phillips, an introduction, table of contents, nine detailed chapters, two specialty dictionaries (Spanish > English and English > Spanish) and biographies. The length of this e-book was 72 pages which makes for a quick read but also one that serves as a future reference source. 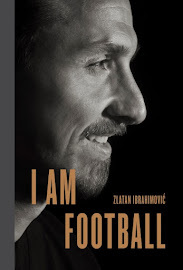 The author uses a blend of history, humor, soccer education and engaging prose to make his book a captivating read. He blends English and Spanish in distinct ways which avoids "Spanglish" or attempts to detract from both tongues by placing more emphasis upon one. The author also makes his book useful for levels of Spanish language abilities. Regardless of your fluency level, you will enrich your vocabulary significantly. This e-book would make a great language learning tool during the upcoming World Cup. For example, those who prefer Spanish language commentary and ave a desire to become more proficient. Or viewers learning English as second or third language for the same reason. The soccer point of reference makes this a unique way to learn either language in a format that mirrors a real-world application. You won't find such a tool elsewhere unless you hired a specialty tutor with a knowledge and passion for world football. Spanish language commentary from the legendary soccer/futbol commentator, Andres Cantor. As you can see from the cover image, this Nook e-book has unique images created by Erik Ebeling. Most of them are very small; however, each one was themed for a particular section in the book. My two favorites were one of Rafael Benitez playing chess (page 41) and former Italian/FIFA referee, Pierluigi Collina, holding a judge's gavel (page 44). Please Note: Enganche is a South American Spanish term for the creative number 10 player. What would be called a Trequartista in Italian football. "Literally in South America, the term for fan is hincha. It derives from the term hinchar, which means 'to swell'. Fans swell with pride for their team, and tend to odiar (hate) their rivals." (Page 49). Elliott Turner lives in South Texas and enjoys cooking Latin cuisine when not spending time with his beautiful family. He has played and coached soccer for over a decade. He blogs regularly on the beautiful game at www.futfanatico.com. Elliott has contributed at The Guardian, The Blizzard, Howler, The Classical and other publications. You can follow Elliott @futfanatico on Twitter. I did not receive a complimentary review copy and was not financially compensated by the author, publisher or any party who would benefit from a positive review.